Elephant Games presents the newest spine-tingling entry in the Haunted Hotel series. Time passes and age-old spirits resurface in the bonus game. Unlock the Secret Room for more bonus surprises! Can you remember everything? Collect memories to help you! 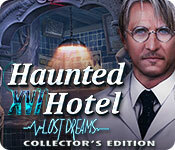 Haunted Hotel: Lost Dreams Collector's Edition is rated 3.8 out of 5 by 37. Rated 5 out of 5 by Opticspy from Fast Fun This is a very fast paced game ! Has great graphics and music. Some may think game is short but I found it refreshing. It moved quickly so I still cared enough about the characters.at the end of the main story, to go right into the the Bonus Game!! So many games are so long in the tooth that I have dreaded to play Bonus game right after. Then when I go in the next day I do not enjoy it as much but I want everything in my CE. I play the same one until I get all achievements. If you want something that is fun and not 8 hours long this game is for you. Loved the Secret Room It Is Timed!! It reminded of the First Ravenhearst Love to Beat Myself!! Rated 5 out of 5 by Tomsde from Another Great Haunted Hotel Game The Haunted Hotel series is one of my favorites. The game isn't as gruesome as other entries in the series; so those bothered by gore aren't likely to be disturbed about this one. The artwork was beautiful and and the music fitting. The storyline seemed a bit familiar to me, having played so many of these types of games int he past. I managed to get all the collectibles and puzzle pieces, I just missed a few morphing objects- I wish they would let us go back at the end and look for them. All in all I recommend this game to fans of the series; but don't expect to find James in this one. Those who haven't played any of the Haunted Hotel games I think this is a good one to start with--it doesn't have any connection to any of the characters in the other games. 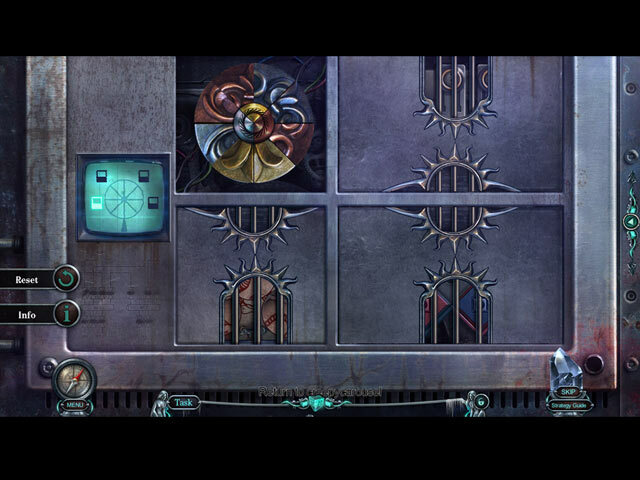 Rated 5 out of 5 by woldepm1 from Haunted Hotel: Lost Dreams Collector's Edition This is most likely one of the top rated games I have ever played. Everything about it is 5 Star in my opinion. It is a game you won't be sorry you purchased. I highly recommend it. 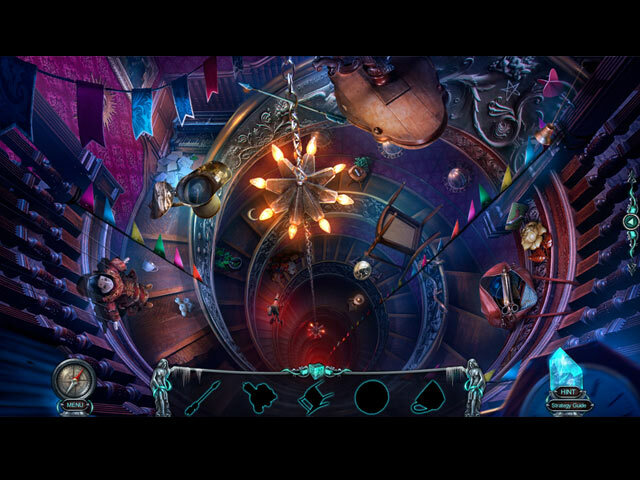 Rated 5 out of 5 by KAC210 from Haunted Hotel I have been playing the hidden object games for a few years, and I tend to gravitate toward the more disturbing games. 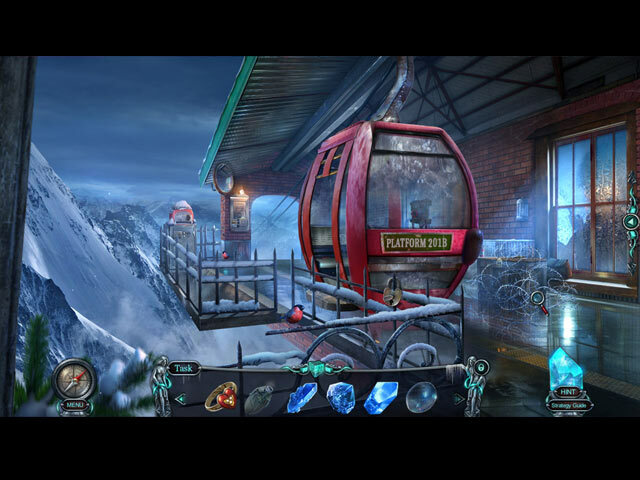 Haunted Hotel: Lost Dreams CE gets your adrenaline pumping. You start out as a security detail, but the situation goes sideways and now your job is to find your way to the Professor, rescue him and then escape. The storyline has a great flow to it (and this is only after playing the demo), and as you find objects, they relate to either something nearby or in a previous screen. Morphing objects, puzzle pieces and multi-puzzle puzzles are a large part of the game. Another gem from Elephant Games! Rated 5 out of 5 by soursweets from Brilliant! I loved this game but I do miss James, I hope he's in the next one. I enjoyed the mini puzzles and hidden objects scenes and I absolutely love collectables! Excellent graphics and music, I really enjoyed this game! I'm looking forward to the next Haunted Hotel - more games like this please! Rated 5 out of 5 by scoobydoo2272 from It's Baaack!!! Definitely the best one of the entire series! The big hotel layout brings new challenges and as the lead character, forces a new level of attention to detail. Otherwise, answers to puzzles will be missed!! Fun, fun and fun! Rated 5 out of 5 by hilly1 from Elephant Games are cool! I enjoyed this game. It started off slow and uninteresting, however, as I continued, I really got into it. It's a keeper. Rated 5 out of 5 by 1955raven from A HAUNTING I WILL GO!! LOST DREAMS.....IS A BUY FOR ME, GREAT CREEPY HAUNTED HOTEL! !